Worried, anxious, stressed and depressed is the man of today's modern materialistic world whose mind constantly oscillates from one sense object to another in search of peace & happiness. And it is in this futile pursuit that one runs after amassing wealth, building fleeting relations, sensory gratifications and even ends up indulging in drug abuse. But then how does one come out of these indulgences when it is all one knows to be the ultimate source of bliss. Such a transformation is possible only through a ray of wisdom that comes through the benign presence of enlightened beings. 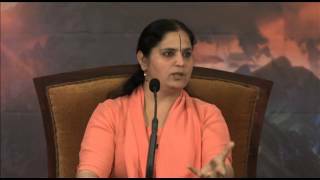 Here in this video revered master Anandmurti Gurumaa shares with us a real life story about an astrayed man whose life underwent a complete transformation after his encounter with a yogi. He then further became a catalyst of change helping many to come out of drug abuse. 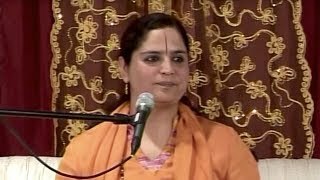 This miraculous incident is a revelation of power of yogi's sadhana, wisdom and transcendental bliss which blossomed not only his own life rather lives of those who came to him. 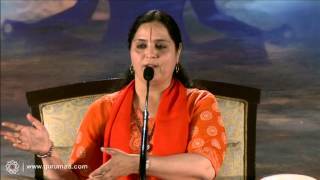 Watch and listen to this insightful excerpt which has been drawn from the Ananda Utsav held at Shimla in 2013.